There's a New Breed Arising! There’s a new breed arising. It’s a generation of people separated not by their age or stage, but by their faith in the words of the King. 1. This new breed believes that God says what He means and means what He says. They take God at His Word – not watered-down, not diluted, but believing exactly what God says to believe. 2. There’s a new breed arising that is not afraid to love fiercely and deeply against all odds. 3. There’s a new breed arising that believes it’s the goodness of God that brings men to repentance; that God’s goodness should be shown to all men. 4. There’s a new breed arising that believes God meant it when He said He would pour out His Spirit on ALL flesh—even those who don’t desire it. 5. There’s a new breed arising that refuses to throw someone away. This new generation believes that God meant it when He said that the Holy Spirit will convict of sin, and of righteousness, and of judgment. This new breed knows that the Holy Spirit will do the work if we will simply occupy ourselves with demonstrating His love and goodness on the earth. 6. There’s a new breed arising that is not afraid to stand when the battle rages hot. There’s a new breed arising that can believe with huge fierceness in the destiny God has in mind for your life. 7. There’s a new breed arising that will look into your eyes and see neither your position, nor your title, nor your wounds, nor your mask, but will instead see the eternal destiny God has placed inside you… and speak to you only about that. 8. There’s a new breed arising that is not afraid to call forth the will and purposes of God in every situation. There’s a new breed arising to whose faith God responds with speed, power, and miraculous events. 9. There’s a new breed arising that would rather walk before God in white than walk before the world in silver and gold. 10. There’s a new breed arising that knows how to shake heaven and earth with their worship, fasting, and prayer. 11. There’s a new breed arising that seems to move heaven and earth with no effort of their own, simply because of their radical intimacy with God. 12. 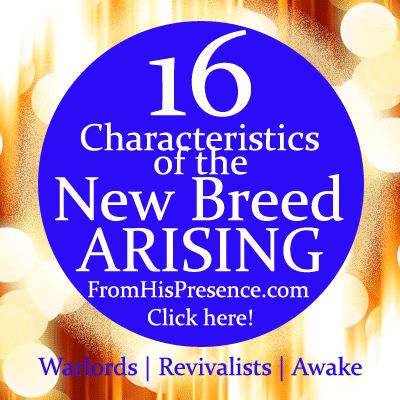 There’s a new breed arising that carries the literal atmosphere of the throne room of Heaven with them everywhere they go, because that is where they live. 13. There’s a new breed arising of Spirit-filled warlords, who speak a thing and it is done. The weapons of their warfare are not carnal, but they are mighty through God for the pulling down of strongholds. 14. The measure of a man or woman of this new breed is found in the strength of their character and the amount of time they have spent in God’s glory—not by their age or title. 15. There’s a new breed arising that walks in the power of the Holy Spirit without measure. 16. There’s a new breed arising that lives daily out of a continuous encounter with God. The new breed arising feels the heartbeat of God for men, and knows that the Holy Spirit is always ready to minister to every person this new breed encounters. There’s a new breed arising… and the invitation is open to you to be a part of it. Arise, shine; for your light has come! And the glory of the Lord is risen upon you” (Isaiah 60:1). Will you be part of this new breed today? May God bless you! I was so blessed by your writing “New Breed Arising”! May God use you in a mighty way! Thank you, Robin, and thank you for reading! Yes. New Breed Revivalist. I was called off my job last year(and my Florida beach comfort zone) for a higher purpose. Your stories inspired me to start a blog. I believe in sowing where I am fed, so I am partnering with you to reach the world for Christ. Thank you so much for your precious seed offering, Mary! I so appreciate your help. 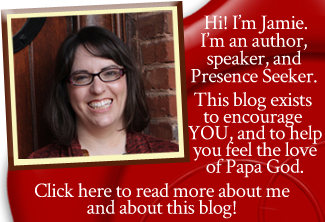 Papa uses every gift to keep this blog going, and all are needed. Thank you so very much for your generosity. I pray our Father would multiply your seed back to you with 30, 60, and 100 times more fruit. In Jesus’ name. Such power in your words! Hi Richard. What kind of technology do you have access to? Do you have a place where a group of people could watch a computer screen or TV for a live webinar or a pre-recorded video class? Also, how many people do you have around you that would be interested in a class?